Uganda Cranes midfielder Allan Kateregga will spend the rest of the season at Maritzburg United. This was confirmed by the Pietermaritzburg based side through a post on their social media. “The club (Maritzburg Unied) can confirm the signing of Allan Katerrega from Cape Town City on a loan deal until the end of the season, read the post. “Welcome to the Team of Choice, Allan. 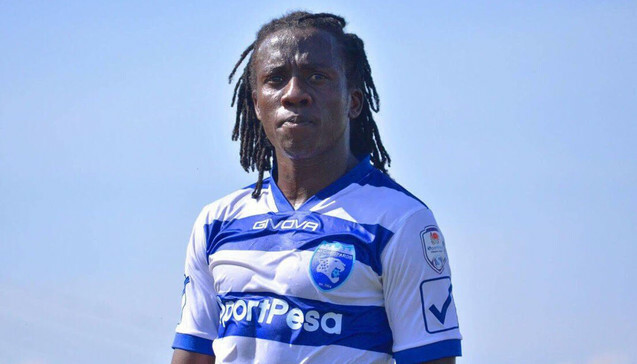 Kateregga joins Maritzburg from Cape Town City whom he crossed over to, as a free agent after the expiry of his brief stint at Kampala Capital City Authority (KCCA) Football Club. His tenure at Cape Town City only restricted him to 13 games since 2018 (11 in the PSL, with one apiece in the Telkom and Nedbank tournaments). The move to Maritzburg United is no question a breather to as much playing time at a time the 2019 AFCON finals come knocking in Egypt, in June and July. Maritzburg United visit Bidvest Wits on Friday, 1st February 2019 before hosting Polokwane on 8th February at their Harry Gwala Stadium in Pietermaritzburg city.